With mandatory reporting legislation (Notifiable Data Breaches Scheme) not far away many businesses should be thinking about how to handle it. The right Cyber Insurance policy is now going to be even more important to Australian Businesses. In our recent Blog Notifiable Data Breaches Scheme we looked at what the new legislation means and who might be affected. In summary the new law will apply to many small and medium sized businesses, not just the big end of town. The difference being that smaller businesses may lack the resources to comply with the consequences of a cyber breach. 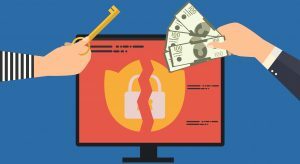 Cyber Insurance can help pay for costs of containing a breach, assessing it and providing remedial actions. Cyber insurers have specialised IT companies at their disposal who have the expertise to handle the situation quickly and effectively. This skill set is not always going to be available with your own IT Service team. So, Cyber Insurance is an obvious way to fund a privacy breach and protect your business. When it comes to deciding whether or not to bother with insurance it’s always a good idea to look at the cost of insurance versus the potential loss to your business. If data is stolen, the average cost of recovery is currently about $140 per client record. As at today a small business with 1000 customers could experience a hacking loss of over $140,000 and that’s before you start thinking about lost income and system damage. Depending on the size and nature of your business, Cyber Insurance premiums start as low as $900. On this basis, if a Cyber attack happens in the next 10 years, you would still be ahead compared to self-insuring. Maintain systems with the latest updates. Use common sense with unusual emails or links. Maintain staff awareness through training. Cyber Insurance policies vary and expert advice is important. If you want to know more about your Cyber or other insurance needs, contact us. This new law will take effect from 22nd of February 2018, if you want more information on this, click here .